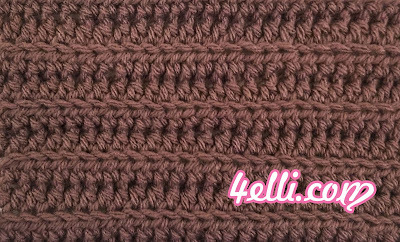 How to crochet the 2nd version of rib stitch!! This version works any number of stitches. Row 1: 1hdc into the 3rd chain from hook, 1hdc in each chain across. repeat rows 2 for the pattern!